When weighing pros and cons of job offers, consider not only compensation but how call will affect quality of life. Let’s face it: No one likes call, but in your career as a physician, you’re most likely going to have to take it. So as you weigh the pros and cons of job offers, it’s important to understand how you’ll be paid for taking call—and how call duty will affect your quality of life on a day-to-day basis. Call coverage appears to be on the rise, according to a 2013 report released by the Medical Group Management Association (MGMA). The group found that in 2012, 70% of physicians in private practice were paid for call coverage, up from 60.7% of physicians in 2011. 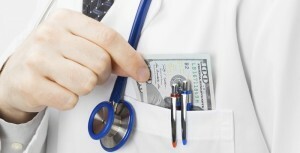 The question on the minds of physicians, however, is how they’ll be paid for taking call. “If you are a physician employee of a hospital, payment for a certain amount of call is usually considered part of your salary,” says Mark Saurette of The Medicus Firm, a national physician recruiting company based in Dallas. If you exceed that call amount, you typically receive additional pay, usually at a nightly rate. Looking for a job that pays for call? How much call is considered typical? “What I’ve seen most commonly is that physicians are asked to be on call 10 days per month,” Mr. Saurette reports. If the hospital requires any on-call days above the agreed-upon number, the physician receives extra compensation. Taking call is typically included in income guarantees that hospitals or groups offer. “This is a scenario in which a hospital offers a physician relocating to the community and joining a practice affiliated with the hospital a guarantee of a certain amount of income for a limited amount of time—usually 12 to 18 months,” Mr. Saurette explains. While most physicians resent taking call, some younger physicians are only too glad to work after hours. For them, Mr. Saurette says, taking call is a way to generate income and build a practice. Even older, more established physicians can augment their income with call coverage. For example, on-call specialty physicians make roughly 23% more than those without on call duties, according to the MGMA Physician Compensation and Production Survey: 2014 Report Based on 2013 Data. Whether you are an employed by a hospital or in a private practice, you need to understand how call coverage is defined. For instance, is a “day” defined as a twenty-four hour period, meaning that you will also be on call at night? And what is the compensation for extra on-call days? Many hospitals do not specify these details in the contract, particularly with employed physicians. Often, the expectations are left ambiguous, Mr. Saurette notes, which can create a difficult situation when an employer suddenly decides that its physicians need to take more call. Interested in more career tips? Sign up here.